If you're planning a trip to Africa, you'll need to find out the local currency for your destination and plan the best way to manage your money while you're there. Most African countries have their own unique currency, although some share the same currency with several other states. The West African CFC franc, for example, is the official currency of eight countries in West Africa, including Benin, Burkina Faso, Guinea-Bissau, Cote d'Ivoire, Mali, Niger, Senegal and Togo. Similarly, some African countries have more than one official currency. The South African rand is used alongside the Namibian dollar in Namibia; and alongside the Swazi lilangeni in Swaziland. Zimbabwe takes the title for the country with the most official currencies, however. 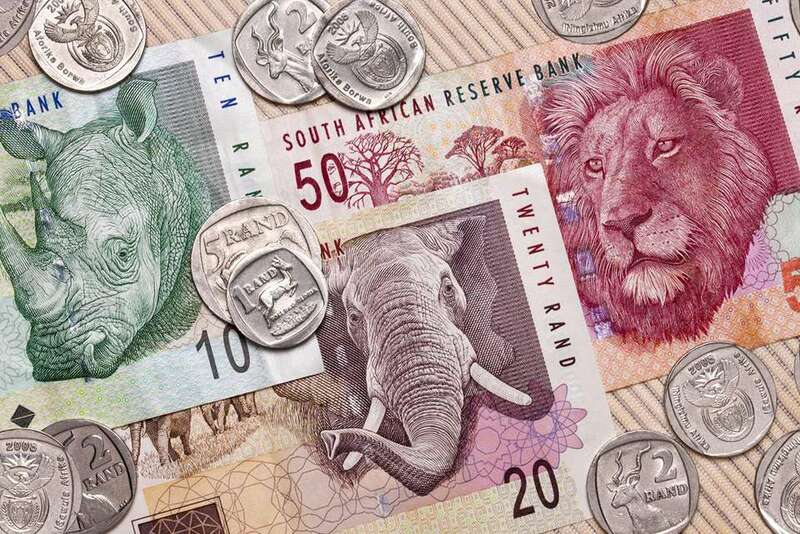 After the collapse of the Zimbabwean dollar, it was announced that seven different currencies from across the globe would be considered legal tender in the beleaguered Southern African state. Exchange rates for many African currencies are volatile, so it's usually best to wait until you arrive before exchanging your foreign cash into local money. Often, the cheapest way to obtain local currency is to draw it directly from the ATM, rather than paying commission at airport bureaus or city exchange centers. If you prefer to exchange cash, convert a small amount upon arrival (enough to pay for transport from the airport to your initial hotel), then exchange the rest in town where it's cheaper. Make sure to download a currency converter app, or use a website like this one to double check the latest exchange rates before agreeing to a fee. Cash, Cards or Traveler's Cheques? Avoid converting your money into traveler's cheques - they're outdated and very rarely accepted in Africa, especially in rural areas. Both cash and cards have their own set of pros and cons. Carrying large amounts of cash on your person is inadvisable in Africa from a safety perspective, and unless your hotel has a trustworthy safe, it's not a good idea to leave it in your hotel room either. If possible, leave the majority of your money in the bank, using an ATM to draw it in small installments as required. However, while cities in countries like Egypt and South Africa have a wealth of ATMs, you may be hard-pressed to find one in a remote safari camp or on a tiny Indian Ocean island. If you're traveling to places where ATMs are either unreliable or non-existent, you'll need to draw the cash that you intend on spending in advance. Wherever you go, it's a good idea to carry coins or small notes for tipping the slew of people that you'll meet on your journey, from car guards to gas station attendants. So, if you're forced to draw large amounts of cash, how do you keep it safe? Your best bet is to split your cash, keeping it in several different locations (one rolled up in a sock in your main luggage, one in a secret compartment in your backpack, one in a hotel safe etc). In this way, if one bag is stolen, you'll still have the other cash stashes to fall back on. Don't carry your wallet in an oversized, obvious purse - instead, invest in a money belt or keep notes folded in a zipped pocket instead. If you decide to go the card route, be very aware of your surroundings at ATMs. Choose one in a safe, well-lit area, and make sure not to let anyone stand close enough to see your PIN. Be aware of con artists offering to help you make your withdrawal, or asking you for help making theirs. If someone approaches you while you're drawing money, be careful that they're not acting as a distraction while someone else seizes your cash. Staying safe in Africa is easy - but common sense is essential.